Hyperpigmentation refers to skin that has turned darker than normal where the change that has occurred is unrelated to sun exposure. 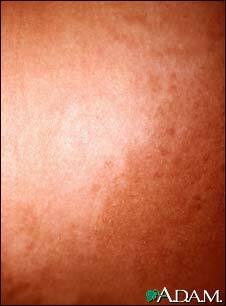 Cells called melanocytes located in the skin, produce melanin. Melanin gives the skin its color. In certain conditions melanocytes can become abnormal and cause an excessive amount of darkening in the color of the skin.